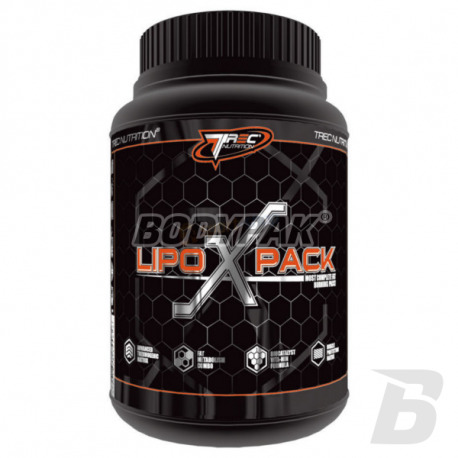 Fat LossTrec Lipo (X) Pack - 15 sasz. REDUCES APPETITE, LIMITED TOR. "BULIMIA"
Seeking an effective fat burner that will not cause yo-yo effect? I have found such a product, the safety of the stands at the highest level. Easy and fast weight loss is now at your fingertips! The revolution has begun! TREC LIPO (X) PACK is a scientifically elaborated, multi-preparation supporting the reduction of excessive body fat with an extremely broad spectrum. A specialist combination of active ingredients of the highest quality accelerates the metabolism and thermogenic work, facilitating the processing of fat into heat energy and at the same time inhibiting its storage. 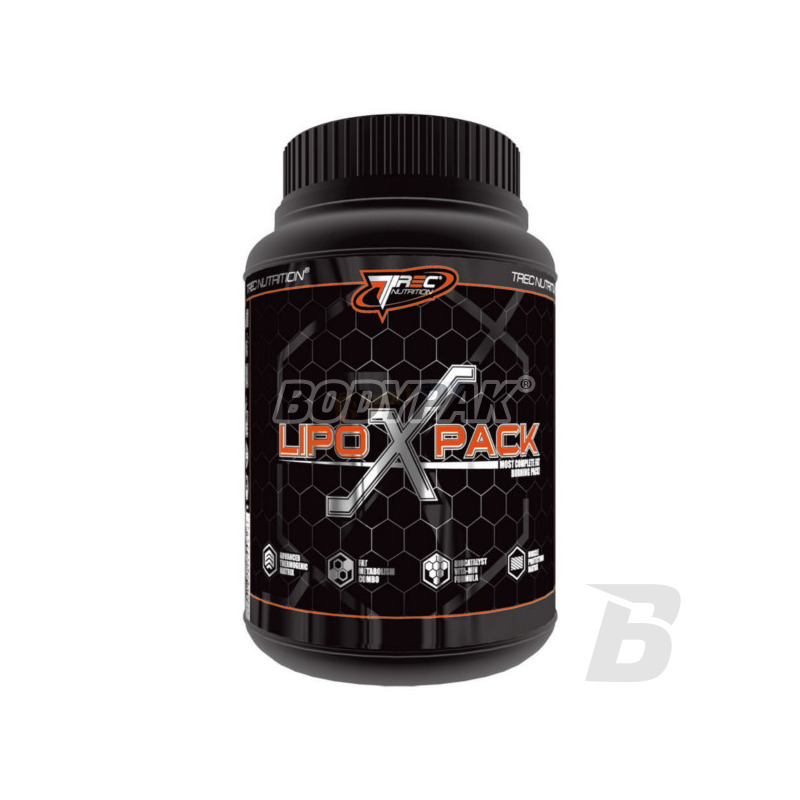 TREC LIPO (X) PACK also contains components with a regulatory and anti-catabolic effect. The product is recommended primarily for athletes during weight reduction and body shaping muscle definition. TREC LIPO (X) PACK is the most modern multi-ingredient product supporting the reduction of fatty tissue. This unique product contains an extremely large number of active ingredients. Each sachet contains nearly 10 grams of substances that act synergistically. The product allows you to lose extra kilos at express pace. The product also contains ingredients to protect muscle tissue from breakdown. Along with regular aerobic exercise is a combination that guarantees rapid and visible results. TREC LIPO (X) PACK - EFFECTIVE AND SAFE! The recommended daily allowance is 1 sachet. Drink preparation approx. 300 mL of water. In order to achieve the maximum effects the product should be used systematically for a period of 4-6 weeks. Please note that the product has a strong aphrodisiac effect, not used before bedtime! 1 sachet 30 min. before training. 1 sachet 30 min. before a meal. Wartość odżywcza 100 g 1 sach. Super efekty juz po tygodniu stosowania! Cisne dalej!